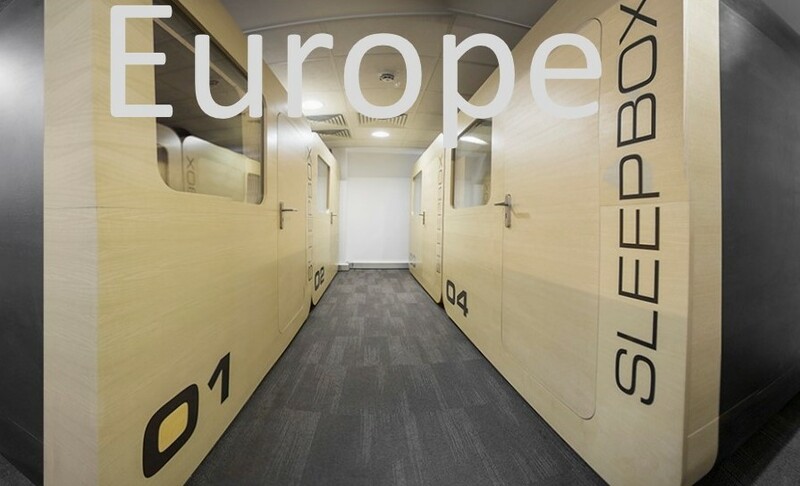 Sleepbox has quickly expanded across the globe, with Europe being a major marketplace for our products. Over the last few years Sleepbox has transformed the definition of hotels, while creating a unique experience within the global business, hospitality and travel platforms. Sleepbox Europe is ideal for anywhere, anytime. Have a look through our website for ideas on where you can utilise a Sleepbox within your European country and think about how you could use one yourself. Each Sleepbox is fully equipped with state of the art technology to make the capsules secure and comfortable. We have designed and developed an exclusive range of materials and textures to ensure each Sleepbox has the highest level of comfort and luxury. To find out more information about Sleepbox, obtain a Sleepbox price then contact us here at our Sleepbox Europe office info@sleepbox.co.uk or click on the side menu bar to view the full Sleepbox product range.